There is one review of Spicy Aoud. A radiant woody perfume that reminds me strongly of the turbo high that used to accompany the forbidden childhood treat of scented supari. Supari is pieces or shavings of the wood-like areca nut that is then treated with sweeteners and aromatics (quite a bit of menthol that compliments the woodiness), resulting in a product that is chewed far and wide on the Indian sub-continent but has also been linked to oral cancers. That is by the by – I mention it because the scent of supari has a rush to it, diffusing perfectly in the nostrils as if it is intent on pleasuring every olfactory receptor. And Spicy Aoud achieves the same effect and actually smells like the stuff. Saffron is the spice mentioned in the declared notes and here it is a musk-propelled version, reminiscent more of saffron flavourings rather than actual saffron. This doesn’t matter as the end result is so deeply satisfying. Apart from that there is little by way of any dominant spiciness. The patchouli in the base is sweet and smooth, blending seamlessly into the main vibrant, warm and fresh woody theme. 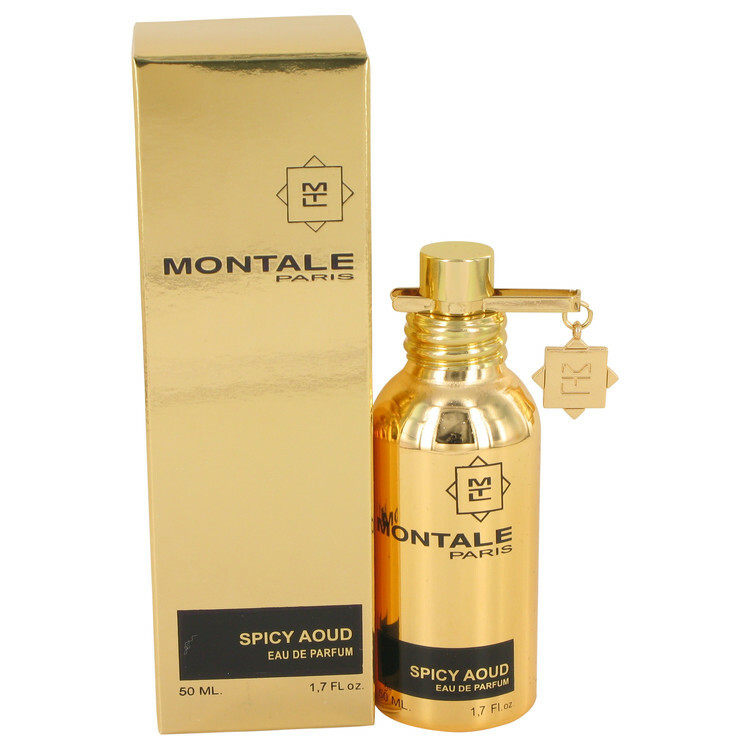 Montale has been on a bit of a winning streak of late and this is definitely a hit – bold and yet accessible, good for all seasons, versatile enough that you could wear without a thought but equally also pick it out for a special occasion. There are no member images of Spicy Aoud yet. Why not be the first?